Why Choose Scalp Designs for SMP for Hair Loss in New England? Scalp Micropigmentation vs. Hair Transplant Surgery – Which Is Better? 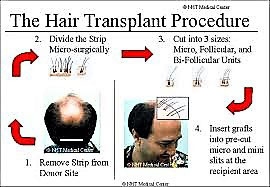 Hair transplant surgery is the most popular solution for hair loss. But there is a new treatment for hair loss that is making a lot of waves lately, called Scalp Micropigmentation (SMP) or Hair Tattoo. The question is which is better for you – SMP for Hair Loss or Hair Transplant Surgery. At Scalp Designs, we believe that Scalp Micropigmentation is the most effective solution for hair loss, and certainly a better option than hair transplants. 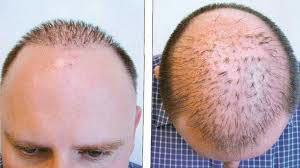 Here at Scalp Designs we work on many clients who have already indured a Hair Transplant. 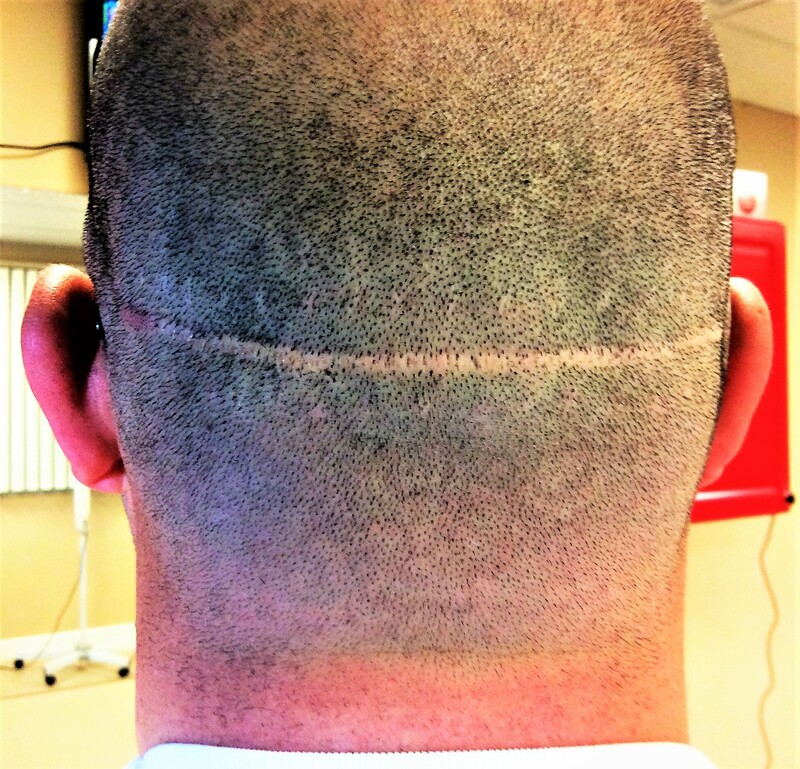 Most clients become more insecure about the scar then they were of their hair loss leading to a lot of regret. What is Hair Transplant Surgery? Hair transplant surgery is a very complex procedure where hair that you already have is moved and transplanted to an area of your scalp which has thinning hair or no hair. On the plus side, hair transplant surgery is the use of your own natural hair. But there are many issues with Hair Transplant Surgery. #1: The surgery can cost you anything from $12,000 to $15,000, which is a lot! #2: It works only if you have transferable hair on other areas of your scalp. #3: Many patients complain about a constant irritation such as itching after the surgery. #4: There is no 100% guarantee that it will work for you. The transplanted hair may fall off later. At Scalp Designs, the cosmetic hair tattoo is performed by skilled professionals over three sessions. This is a highly sophisticated, very technical process done in different stages during which the practitioners use micro-needles to layer the pigment dots on your scalp. The dots are placed in the dermal layer of the skin. This makes it appear as though you have a full head of shaved hair.